The impact of sade sati is different on every person. Some people have good impact or some get bad impact. To understand the impact of sade sati one should think about Shani’s vahan. Also, we can do remedies for sade sati based on vahan. Gadha: The result of this vehicle is not auspicious. A person has to work hard to get success. A person cannot get success even though hard work. However, he has to work hard. Horse: The fruits of this vehicle are very auspicious. The energy and courage improves. People come out from every obstacle and win over the enemies. However, avoid arrogance. Elephant: This vehicle is no auspicious. It gives opposite results of the work. All hard work goes waste without any reason. 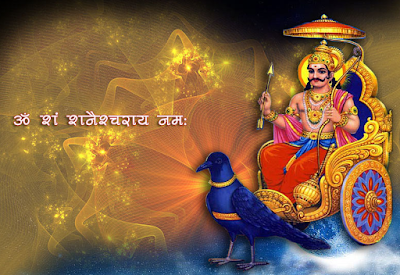 In this case, chanting Shani psalm is very auspicious. Bhaisa: This vehicle gives mixed results. Struggle increases in starting and there would be bitterness in relationship. However, one gets good success in career and wealth. It is very auspicious to donate black stuff on Saturday. Lion: This vehicle increases efficiency of the person. A person can solve all the problems very wisely. However, a person speech becomes harsh due to pressure. Avoid break up in relations due to ego. Jackal: This vehicle is not auspicious. A person gets fear all the time. A person gets information of an accident and inauspicious events. In this case, one should worship Hanuman. Crow: This vehicle gives mixed results. There would be disturbance in domestic life and relationship. However, one gets success from foreign journey. They also get success in career. Wear iron ring. Peacock: This vehicle gives auspicious results. A person gets success in every work. A person does hard work and gets good fame-respect. In this case, one should worship lord Shiva. Good Luck: You can get mercy of Shani by wearing blue color clothes on Saturday. However, avoid wearing red color clothes.